The final work by Henry David Thoreau collected in this Library of America volume is the posthumously published Cape Cod. (For my thoughts on his essays, see my previous posts organized in the Index, linked above.) Cape Cod has some similarities with The Maine Woods. Both were published in the year or two after Thoreau’s death with the leadership of his sister. Both were based on three separate trips to a place in New England, explored over the course of a decade. Both, potentially, give a long view of historical and environmental change. Cape Cod, however, looks at a place that is fully “civilized,” while The Maine Woods considered a place that, in Thoreau’s mind at least, was still a wilderness. To find this wilderness that so attracted him, Thoreau had to look to the coast and the sea. This is his only work to take the ocean as a category of analysis. Water was a major theme in Walden, but as part of the local ecosystem. Here the ocean stands as a behemoth before Thoreau. The sea has even power over the land. “Perhaps what the Ocean takes from one part of the Cape it gives to another,—robs Peter to pay Paul. On the eastern side the sea appears to be everywhere encroaching on the land. Not only the land is undermined, and its ruins carried off by currents, but the sand is blown from the beach directly up the steep bank where it is one hundred and fifty feet high.” (956) The sea was not something that Thoreau could quite get a handle on, but he was impressed by the sailors and fishermen who dwelled in Cape Cod for their intimate knowledge of the sea. As a node of capitalism, the exploitation of the environment, and commerce, Cape Cod is the polar opposite of the self-sufficient world Thoreau tried to create near Walden Pond. Lighthouses, ship wrecks, and small towns lining the cape. Nevertheless, Thoreau notices signs of people living on the margins, making a living from the periphery. I am sure he saw in these self-sufficient fishermen the pursuit of the same type of life he tried to live in Walden. “It is remarkable what a serious business men make of getting their dinners, and how universally shiftlessness and a groveling taste take refuge in a merely ant-like industry.” (976) He defends this “shiftlessness” as merely a coastal version of the life he advocated. The chapter called “The Wellfleet Oysterman” is an interesting window into a vibrant subculture of Cape Cod. I am struck that in his other works, Thoreau has little to say about other people’s labors. Often they are cast aside as wage slavery or rejected along with the rest of the emerging industrial civilization Thoreau saw around him. This chapter may be his most careful study of how other people live and work. For me this is a sign of maturity on Thoreau’s part and suggests an opening of his mind. If Walden is about he chose to live and pursue freedom, Cape Cod is interested in how others have done so. And in his honest moments, he must confess that they find their own space for freedom, even within the capitalist civilization. 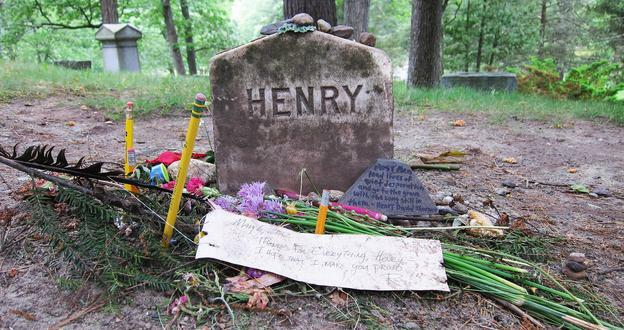 So those of you who think that Thoreau is an impractical lifestylist, I do suggest taking a look at Cape Cod as well as The Maine Woods for evidence that he did have a broader appreciate for the system, the damage it caused and the diversity of ways people could live within it. Well, I will keep it short and sweet today. 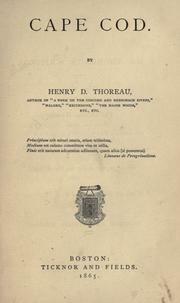 That completes my study of Thoreau, the great American individualist and perhaps early anarchist thinker. This entry was posted in Anarchism, Capitalism, Environment, Freedom, Individualism, Library of America, Philosophy, Tramps and Migrants, Working-Class Life and tagged cape code, capitalism, coasts, henry david thoreau, labor, massachusetts, ocean, the maine woods, walden. Bookmark the permalink.